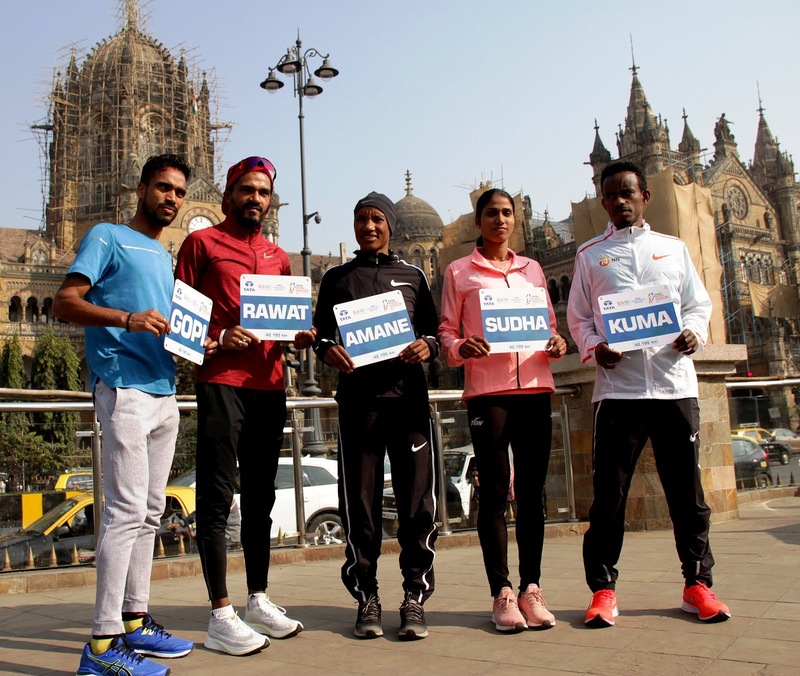 Ethiopian runners took both the men’s and women’s Tata Mumbai Marathon (TMM) titles 12 months ago and pre-race favourites Abera Kuma and Amane Gobena sounded confident that the top honours in the City of Dreams will stay with athletes from the East African nation this coming Sunday (20 January). Kuma comes to Mumbai as the fastest man in the field with his 2:05:50 personal best set in Rotterdam Marathon last April. He added that he has put behind him the disappointments of failing to finish in both the Berlin and Abu Dhabi Marathons during the last four months and had come to Mumbai to get his first victory over the classic distance since his 2015 Rotterdam Marathon win. India’s leading finishers from 2018, Gopi Thonakal and Sudha Singh, were also present at the press conference. The pair finished 11th and seventh respectively at the TMM 2018. Thonakal competed at the Rio 2016 Olympic Games and IAAF World Championships London 2017 and is looking to run under the Doha 2019 qualifying standard of 2:16:00. Singh, the Indian 3000m steeplechase and half marathon record holder has the target of running under 2:37:00, which would not only be an IAAF World Championships Doha 2019 qualifying standard but also a TMM Indian best. “I had a good year on the track in 2018 (she was part of Team Asia-Pacific at the IAAF Continental Cup) but my marathon and half marathon was not as good as previous years and I want to improve again,” said Singh.